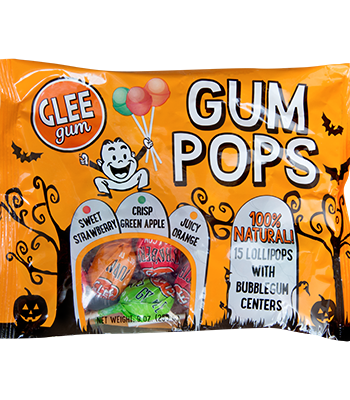 Make Halloween A Little Less Scarier with @gleegum Pops! I will admit it...we are not big Halloween fans in this house. Ok, I mean me, myself and I am not. And I will tell you why - artificial ingredients, colors and dyes in candy is why I don't get that excited for Halloween. I don't like my children having that icky artificial candy and I don't like having it in my house. But this year, Halloween is different thanks to Glee Gum! Glee Gum has made me have fun on Halloween again because they created fun, natural chewing gum, Glee Gum Pops and even Make Your Own Chewing Gum kits to have on Halloween and in Trick or Treating bags this year instead of the icky, artificial stuff! 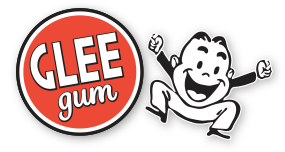 Glee Gum is delicious, natural chewing gum - No artificial colors, flavors, sweeteners, or preservatives and it is Aspartame-free and non-GMO Project Verified. It is made with chicle, a tree sap harvested sustainably to help conserve the rainforest. Glee Gum comes in 11 great flavors: peppermint, tangerine, cinnamon, bubblegum, spearmint, mixed berry, sugar-free lemon-lime, sugar-free peppermint, sugar-free watermelon, sugar-free bubblegum, and sugar-free wintergreen. It’s the best-selling alternative to conventional, synthetic gum in the country. 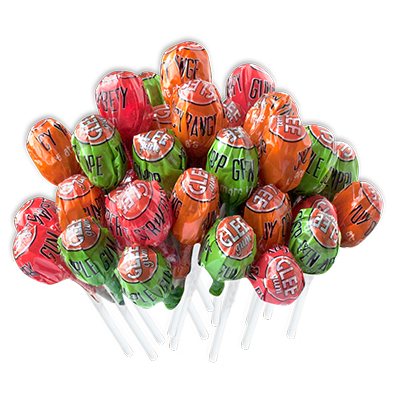 Trick-or-treaters will SCREAM for the world’s first & only 100% natural gum pops— hard candy lollipops with yummy, natural bubblegum centers. Each bag of Glee Gum Pops comes packed with 15 pops in a mix of three delicious flavors: Sweet Strawberry, Crisp Green Apple, and Juicy Orange. Gluten-free, allergy-friendly, and vegan, these pops are made without artificial colors, flavors, sweeteners, or preservatives. They’re certified kosher by the International Kosher Council, too. And, like the rest of the Glee Gum line, the gum centers get their great chewy texture from chicle, a tree sap harvested sustainably to help conserve the rainforest. An eek-o-friendly alternative to conventional Halloween candy! 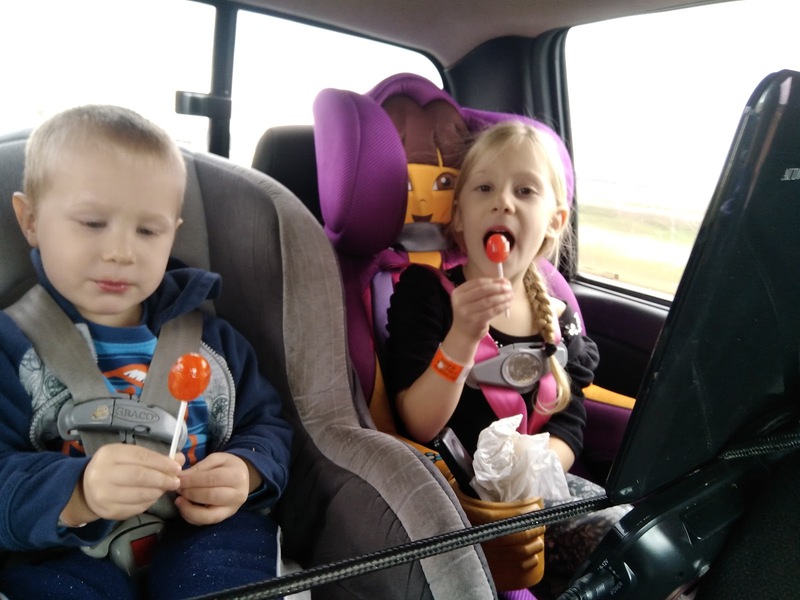 My kids LOVED these Glee Gum Pops and, to be honest, these were the first "suckers" I have ever felt good about them having! I know these will be a HUGE hit with my trick-or-treaters this Halloween! And for a little family fun on Halloween night OR any night for that matter, how about making your own gum with the Make Your Own Chewing Gum Kit! Everything you need is included, and it’s easy! Inside each Make Your Own Chewing Gum Kit, you’ll find natural chewing gum base, confectioner’s sugar, corn syrup, two natural flavors, a small pan, simple instructions, and a story about the sustainable harvest of rubber. First you soften the gum base, either in the microwave or on the stove. Then you add the sugar, corn syrup, and flavoring, knead it a little, and WOW! You’ve made your own gum, right at home! Each Gum Kit makes 30 – 50 pieces of chewing gum. Adult supervision is recommended. A fun activity for classrooms, scout troops, birthday parties, home schools, date nights, and more. 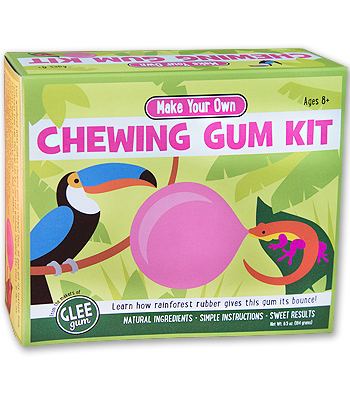 A great gift for kids (ages 8 & up) and gum chewers of all ages! So, change what you chew! Glee could be the natural choice for YOU. And don't forget to sign-up for their monthly e-newsletter with exclusive deals & offers! You can purchase Glee Gum products from their online shop.